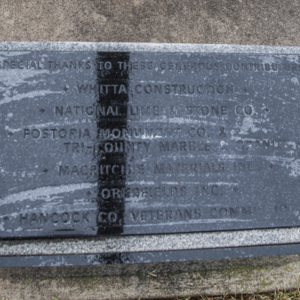 This memorial has multiple separate parts that make up the whole of the memorial. 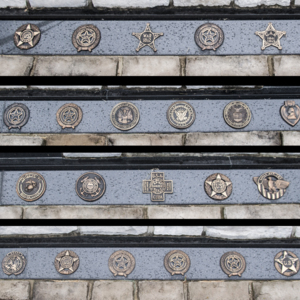 It is comprised a long, short wall with small metal emblems embedded at the base. In the center of the wall is a stone podium with a plaque on the front. 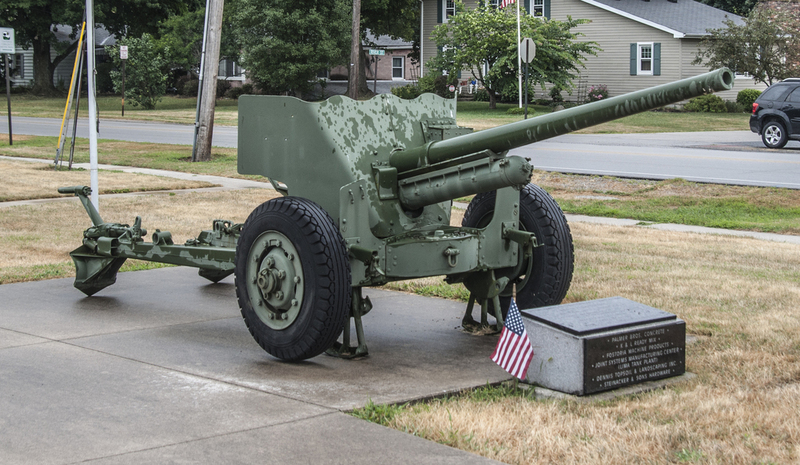 The wall is flanked by 2 WWII field guns with small headstone-like plaques in front of them. 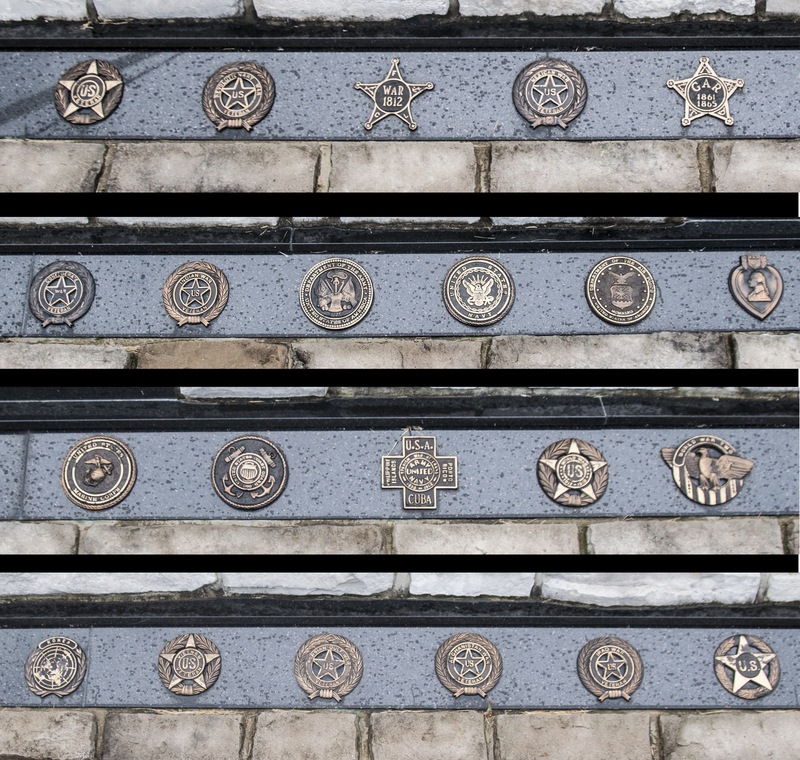 Behind the entire scene are 7 flag poles. 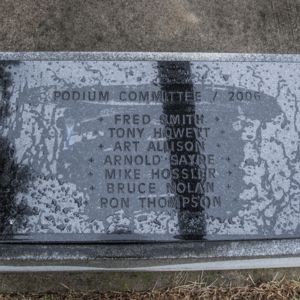 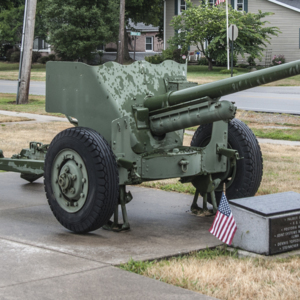 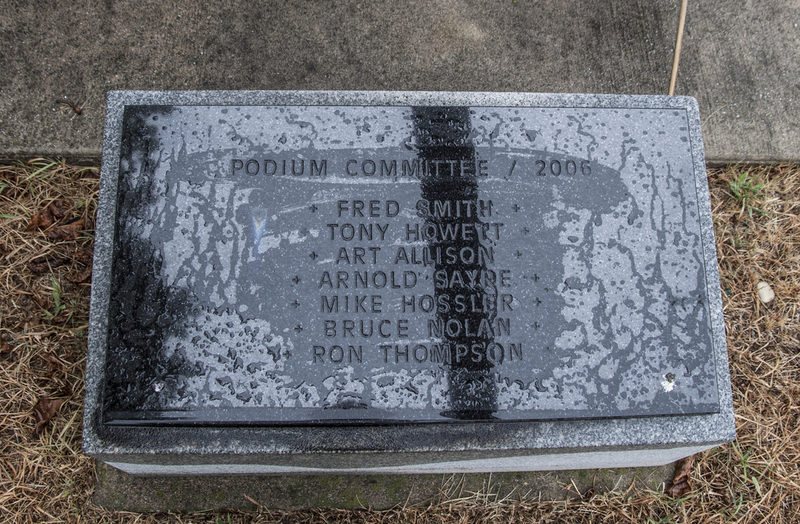 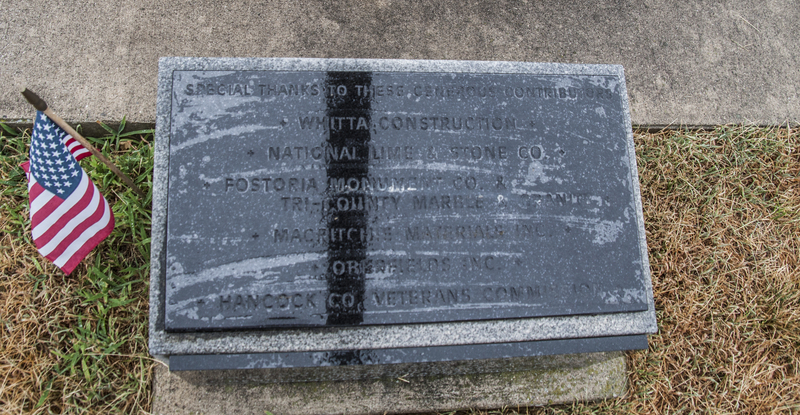 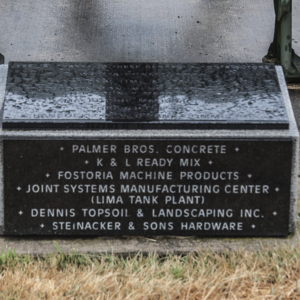 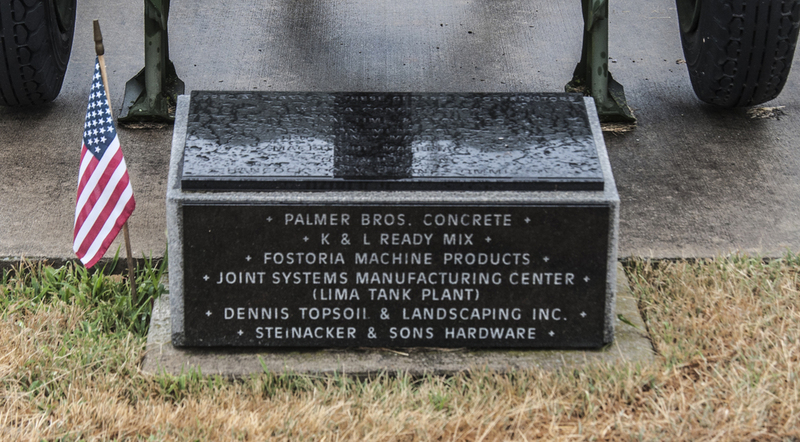 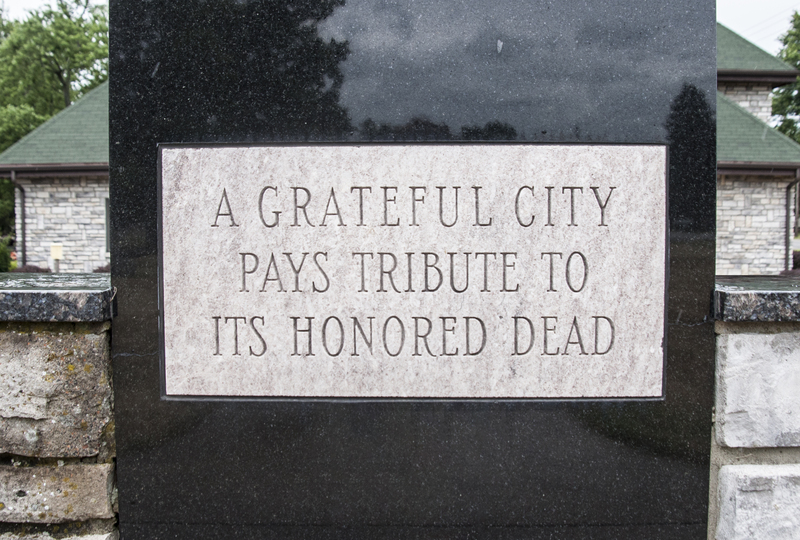 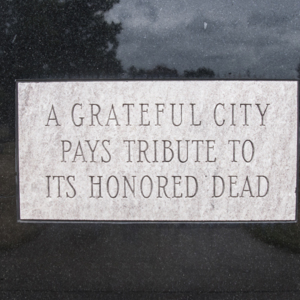 : “Veterans' Memorial of Fountain Cemetery,” Ohio Outdoor Sculpture Inventory, accessed April 18, 2019, http://oosi.sculpturecenter.org/items/show/1553.